Because of its highly visible location at a major interchange, the Kansas City Fire Department asked that we design a station both prominent and attractive, but also resilient and easy to maintain. 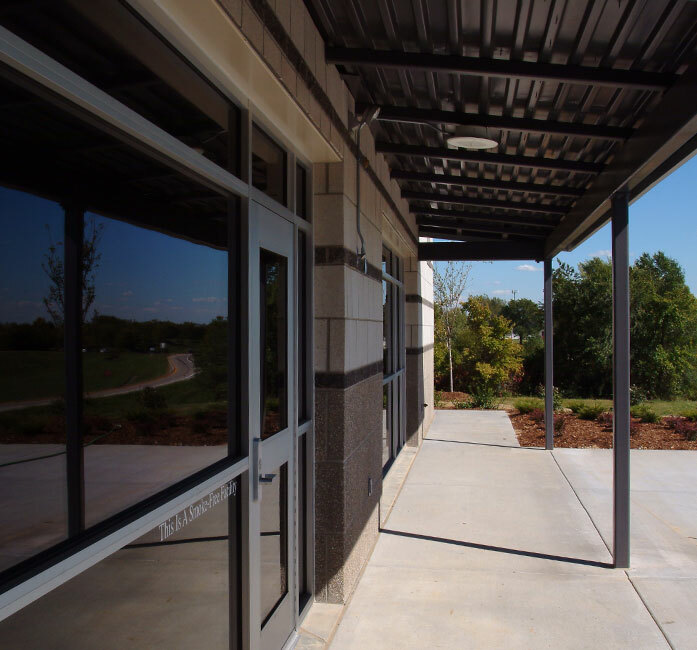 Our design fit the bill through bold use of masonry construction, metal roof, and durable interior finishes, while also establishing a layout that minimizes response time. This 17,100-square-foot, two-story, three-bay fire station also serves as a hub for all area companies to refuel and repair air and oxygen equipment. The station is also used as a training facility and contains a community room, kitchen and dining space, weight room, battalion chief and captain quarters, crew bunkrooms, slide poles, apparatus bays, SBCA room, vehicle fueling station, and secure firefighter parking.